Disaster preparedness and response are areas where RSVP volunteers have a tremendous impact. RSVP volunteers are trained to work in the Emergency Operations Center answering phones, recording response activity and supporting the EOC. They staff the Volunteer Reception Center (VRC) to help coordinate and dispatch water and other aid to outlying areas in the county. Community Emergency Response Training (CERT) is another great service opportunity. 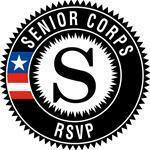 RSVP volunteers become part of a greater volunteer experience by training with Washington County residents of all ages. Volunteers join CERT Teams and in the event of a disaster the teams are trained to meet the emergency needs in their own neighborhoods until first responders are able to reach the area. Training is offered through the Washington County Emergency Management Agency.